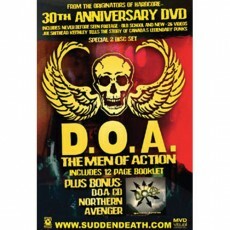 "The Men of Action" 30th Anniversary DVD - 26 great tracks of D.O.A. mayhem. Also includes 26 alternate versions where Joey describes the ideas and the activism behind each of the videos.